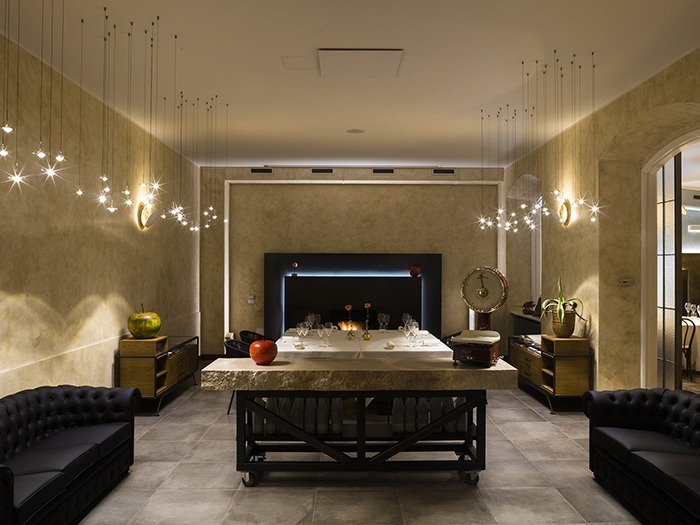 Catellani & Smith lighting products illuminate the new ‘Casual Ristorante’ of Enrico Bartolini, the internationally renowned Michelin-starred chef. 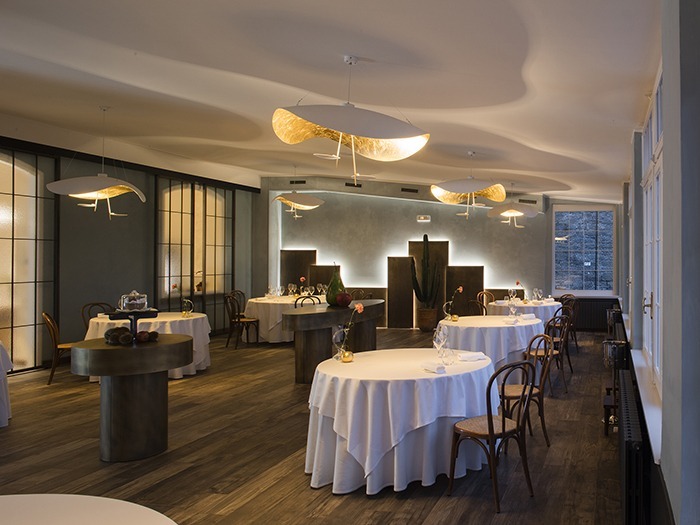 The restaurant, that opened last April, is situated at the foot of the panoramic hill of San Vigilio in Bergamo Alta. It has two large rooms and a smaller room that offers more privacy, complemented by a roof garden for use during good weather. The wide windows along the wall of the main room offer a nice view of the funicular railway, whose coaches take visitors to the highest part of the city. Catellani & Smith developed a lighting design that creates a balance between light and shadows, and matches perfectly with the natural material interior. The interplay between different visual elements creates a cozy atmosphere that welcomes guests, who can taste the ‘contemporary classic’ cuisine created by chef Bartolini. The lights selected are design lamps, that create a unique atmosphere in the restaurant. These include the Lederam collection lamps in gold and white version; the elegant Jackie O Chandelier with its cascade of pendants that release a touch of magic; the splendid floor lamp PK Led 100, whose shade is inner lined with gold coloured leaf; a Wa Wa floor lamp, and the Atman ‘jewel-like’ table lamps, whose LED light source casts unexpected shapes of light through an oval crystal.